The Citadel Group has been awarded certification to the Information Security Management ISO 27001 by SAI Global. The Citadel Group is a Microsoft Gold Partner. Citadel Health (Melbourne) has been awarded certification to the Quality Management Standard ISO 9001 by SAI Global. The Citadel Group is a Tier 1 Micro Focus Platinum Business Partner which represents extensive experience delivering and supporting enterprise software solutions. Citadel Technology (Canberra) has been awarded certification to the Quality Management Standard ISO 9001 by SAI Global. Citadel Health holds a strategic alliance with DoseMe to personalise dosing tools with the CHARM™ platform. Citadel Health’s laboratory information system is certified to the award-winning BloodNet online blood ordering and inventory management system from the National Blood Authority. Citadel Health have partnered with Emerging Systems to enable the integration of our medical oncology information system into a broader hospital electronic medical record system operated by Emerging Systems. Emerging Systems are also an authorised reseller of CHARM™. Citadel Technology has been awarded an Advanced Video Specialisation certificate by CISCO which demonstrates advanced expertise in collaboration video endpoints, infrastructure and managed video conferencing. Citadel Health are MIMS Integrated, which enables rapid access to a range of highly sophistocated medical knowledge bases. The Citadel Group is an Infor Partner. Citadel Technology are a CISCO Select Certified Partner. The Citadel Group is a DocsCorp Partner. Citadel Technology are a Polycom Certified Partner for Video Conferencing and Infrastructure Solutions. 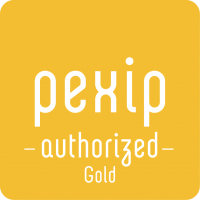 Citadel Technology are a Pexip Authorised Gold Partner. The Citadel Group is a certified LeanIX Partner. The Citadel Group is an EzeScan Partner.